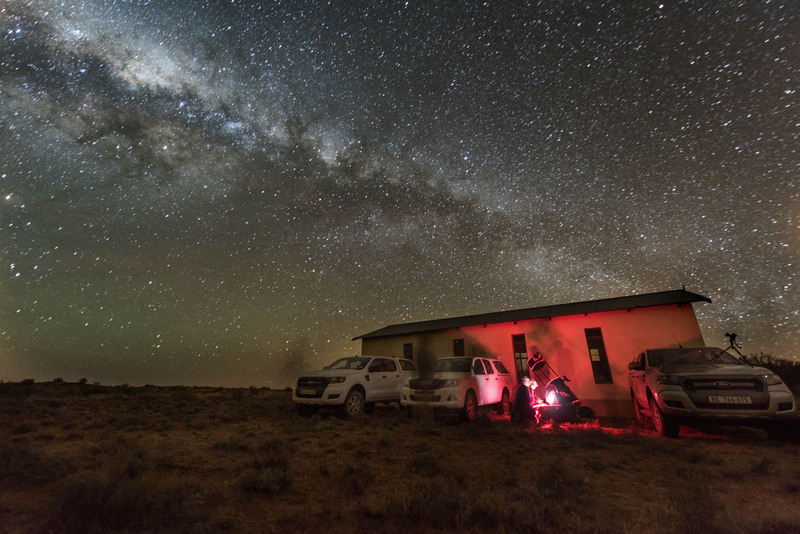 Paul Maley and Ted Blank, both of the International Occultation Timing Association, observe the occultation of Kuiper Belt object 2014 MU69 on the morning of June 3, 2017, from the Karoo desert near Vosburg, South Africa. Their target field — containing both Pluto and MU69 — is in the portion of the Milky Way seen here, in the constellation of Sagittarius. They positioned their telescope next to a small church, shielding it from winds that could arise during the cold winter night. NASA’s New Horizons spacecraft will fly past MU69 on Jan. 1, 2019.